Nothing gets you there and back like a classic trucker jacket. The Blake is that classic trucker with a few extra elements that set it apart from the pack. 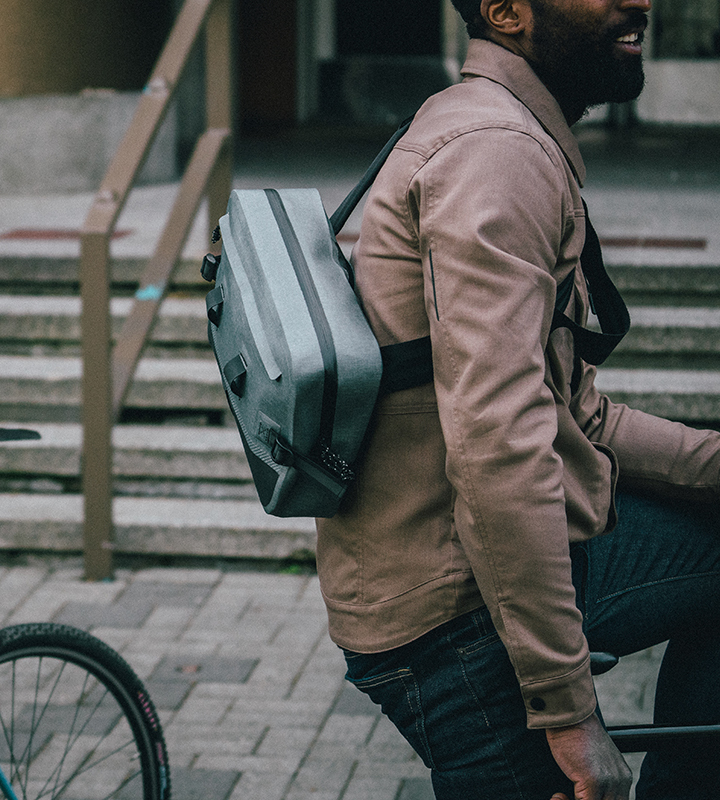 Built from a cotton/poly twill with 2% spandex for a little extra stretch when you're out on your bike, the Blake is ideally suited for morning commutes or bike party rides with the homies. We added two front zip vents that double as mesh pockets and a rear stow pocket for extra gear. No matter if you're a road dog on a long haul or just a rad dude riding your bike to the bar, the Blake is ready to roll on two wheels or eighteen. Pockets for days - in addition to two hand pockets, the Blake features two side-entry chest pockets with mesh liners that double as vents when the heat is on and a side-entry rear pocket for larger gear when you're on a roll. Pockets for days - in addition to two hand pockets, the Blake features two side-entry chest pockets with mesh liners that double as vents when the heat is on and a side-entry rear pocket for larger gear when you're on a roll. We built the Blake with some understated performance features that you won't find on a regular trucker jacket. A hideaway vent at the shoulder yoke that opens when you're down in the drops and lowkey reflective tags on the arms for extra visibility all in a classic trucker frame. I bought two, and might buy a third in another color. Great jacket, great fit for a night out on the town! I saw the jacket was out of stock in brown online; although black was in stock. I live in downtown Portland, so I thought I should stop by the Chrome HQ and see Michael and Derrick to find out what they had. I thought I remembered seeing some Blake jackets and chambray work shirts on the sale rack. Sure enough, they had a ton of brown/large jackets in stock. I tried it on, consulted my wife (who approved) while she was looking at some sneakers and slammed down my debit card. (Actually, I handed it to Derrick politely while we talked about film cameras and Matt Reyes's rad dog Ernie) Being that it was a pleasant day and I had a little time off, I got home put on the jacket and headed out to go for a bike ride. The jacket fit well, it wasn't clammy or overly breezy. It didn't make me look like one of the juiced roadies on the Springwater Corridor (rail trail in Portland). Later I washed the jacket following care instructions on the label. The new-clothes stiffness and packaging wrinkles were gone and the jacket was even better.